As Senior Public Relations Manager for 3fold Communications, Emilie Cameron directs the development and implementation of public relations campaigns for the agency’s broad client portfolio. When not slaying PR dragons, she passionate advocates for Sacramento’s thriving community. Recently I had the opportunity to join 100 local business, nonprofit and public sector leaders on a four-day journey to Nashville, Tenn. to discover how this boot-scootin, honky-tonk city is thriving. 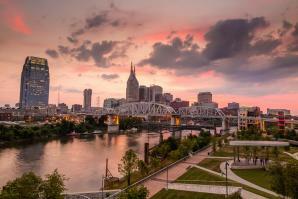 Nashville has an identity no one can deny, and one this country girl couldn’t get enough of. But, let me tell you, it is so much more than a music town. Nashville is a thriving hub for business and forward thinking.